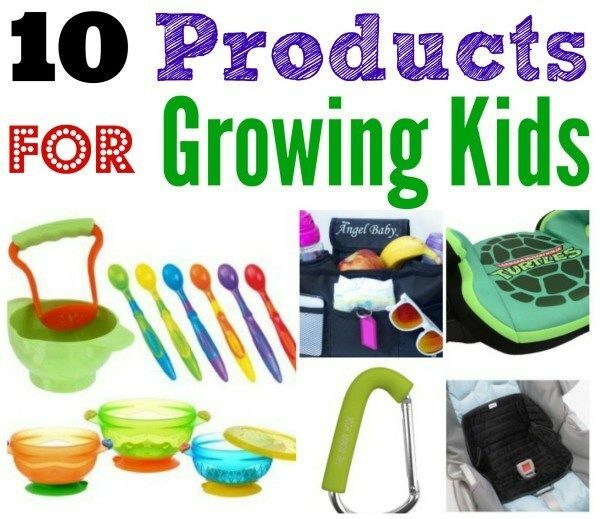 10 Products For Growing Kids! You are here: Home / Great Deals / 10 Products For Growing Kids! Looking for some items that you will really use through your child’s life? Check out our list of 10 Products for Growing Kids! Designed to help you throughout the day – these products are spill proof, stay put, and otherwise helpful as kids grow. Just found your page today by randomly searching people that have liked stuff on my FB. Your easy tips won me over.